Driving the new BMW 535i is like driving a luxo-liner with magnified power. The 535i comes with some brilliant new technology and a beautiful, flowing exterior design ­ which is why BMW still leads the competition. An aluminium integral rear axle and Brake Energy Regeneration improves fuel efficiency and ensures that the full power of the engine is available for swift acceleration. Snazzy new features don’t stop there, but for now let’s take a look at the BMW 535i’s performance credentials. Drivetrain settings come with Comfort, Sport and Sport+. Sport+ position means that the BMW TwinPower Turbo six-cylinder in-line petrol engine combines the full force of the twin-scroll turbocharger when full power is demanded. It only takes 5.9 seconds for the BMW 535i sedan to complete the 0-100 km/h dash. A limited top speed of 250 km/h is equally impressive. Valvetronic, Double-VANOS, High Precision Injection technology provide the luxurious sedan with effortless, smooth performance which always brings a smile to one’s face. 400 Nm of torque provides silky pulling power through the BMW eight-speed automatic transmission. Solidly made, the BMW 535i weighs in at 1700 kg but it feels as nimble as a gymnast. Accurate steering is aided by twin-spring suspension technology to give quick cornering and a high level of ride comfort. Some of the other modern features include Start/Stop technology, keyless ignition and automatic air conditioning that has a two-zone function. The air-conditioning has separate adjustment of air volume and air distribution; individual automatic control with five grades of intensity, Automatic Air Recirculation (AAR), a solar sensor, charcoal filter and a maximum cooling function. Inside the BMW 535i there is a nice blend of sport and luxury. You can equip the car with Motorport packaging. Heat and sun protection glazing is standard on the glass, while the ambient light package includes interior and exterior handle area lighting, interior trim cascade lighting, illuminated map pockets, illuminated centre console tray, reading lights and rear entry lights. Dakota leather seating is sumptuous, while the interior trim has a Black High-Gloss finish, and the door sills are finished in chrome. M Aerodynamics Packaging and a choice of 18 or 19-inch alloys gives the BMW 535i gorgeous looks. On the practical side, all BMW 5 Series models come with cupholders, front and rear, and a comprehensive toolkit. A 12V power socket is situated in the front storage compartment, while another one is located in the rear centre console. You might call this next feature a luxury item but it’s also a very practical feature that is going to get a heap of use. The BMW 535i comes with a Personal Profile system that sets a personalisation of all the important controls for each individual that will drive the car. What you have is a function that electrically adjusts your driver’s seat and electric steering column, and will store this in a memory function so that after others have driven the car, you can slip back in the seat, push a button and you’ll have your favourite position back. The 560-litre boot space can be increased via a through-loading system with asymmetric 60/40 split folding backrests. Now to paint a picture, the boot volume of the BMW 535i is comparable with a Falcon and better than a Commodore. Bluetooth, enables wireless connection of a compatible Bluetooth mobile phone to the vehicle. You can chat away to people, while still driving, using the hands-free facility. You can even view photos, data from the customer’s mobile phone and enjoy Bluetooth audio streaming. While stationary, the BMW 535i can access the internet through the Control Display by entering the URL using the iDrive feature. On-board the BMW 535i is a very fine navigation system with a large 10.2-inch Control Display in the central area of the dash. The screen is also used for all other on-board computer information. TV screens in the rear of the vehicle are optional extras though, for me, the premium stereo pumps out magnificent sounds through six loudspeakers, four midrange speakers and two bass speakers. With this sort of entertainment I’m quite satisfied! USB audio interface enables connection of an MP3 player, Apple iPod or USB memory stick via the USB interface. Safety is as good as it gets on four wheels, while BMW back-up servicing is first-rate ­ aided by the car’s self-informing computer diagnostics which informs you of when the car needs to be popped in for a service. 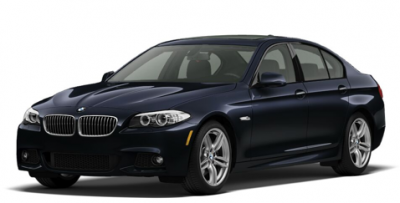 The BMW 535i is a pure driver’s car, and one that is immensely satisfying to live with. With new exterior styling for 2012 models, you have a car that is nothing short of stunning. For any more information on the BMW 535i or, for that matter, any other new car, contact one of our friendly consultants on 1300 303 181. If you’d like some fleet discount pricing (yes even for private buyers! ), we can submit vehicle quote requests out to our national network of BMW dealers and come back with pricing within 24 hours. Private Fleet – car buying made easy!